With summertime just around the corner, your outdoor room is guaranteed to see more use. Whether you are hosting barbecues for all your friends or just enjoying time with your loved ones, here are some things your patio needs this summer. 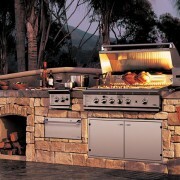 A must have for every outdoor chef, an outdoor kitchen is perfect for hosting a backyard barbecue of any size. Not only does a great outdoor kitchen allow you to remain a part of the action when hosting those backyard parties, but it keeps your indoor kitchen clean as well. Outdoor kitchens are a great investment for your outdoor room that will be the star of every great barbecue. A chiminea is freestanding, front-loading, fireplace with a vertical chimney. Traditionally made out of terracotta, chimineas are are a rustic patio pieces that add a decorative accent and practicality to your patio. Perfect for cooking, a chiminea keeps the smoke away from your face and allows you to keep warm on chill summer nights. The practicality of a chiminea combined with the visual piece makes it an excellent piece of patio furniture. Not enough seating for your patio? An outdoor sectional solves that issue while adding style and color to your patio. 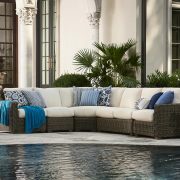 Outdoor sectionals are an essential piece of patio furniture for every host. Not only does a sectional provide adequate seating for multiple guests, it also can save you money on having to buy additional patio furniture. A durable and fashionable sectional can do wonders for your outdoor room. 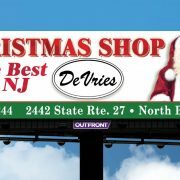 DeVries is New Jersey’s best selection of outdoor patio furniture with an expansive showroom of the latest in patio trends. 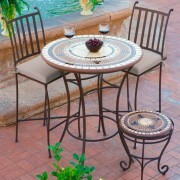 We offer elegant and affordable pieces for all your patio furniture needs. What’s the difference between rattan and wicker patio furniture? 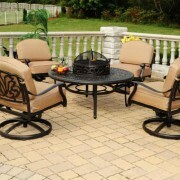 At DeVries we have decades of experience in selling patio furniture throughout New Jersey. We’ve definitely learned a thing or two about everything related to patio furniture, but one of our most frequently asked questions is what is the difference between rattan and wicker patio furniture? Today we’ll share with you the key things to know when shopping for either wicker or rattan furniture. https://njpatiofurniture.com/wp-content/uploads/2019/02/Lane-Venture-Oasis-Closeup.jpg 667 1000 bargooseadmin /wp-content/uploads/2014/03/dv_logo_156.png bargooseadmin2019-03-15 16:22:352019-03-28 16:34:03What's the difference between rattan and wicker patio furniture? With spring just around the corner, it’s a great time of year to take out your patio furniture and get it dusted up for use this summer. 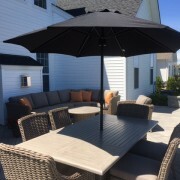 Direct from DeVries, your New Jersey Outdoor Patio Furniture Experts, here are some easy cleaning tips for every kind of patio furniture you might own. It’s almost patio season! If you’re in the market for new patio furniture or just want a new look for your outdoor space, you need to know what’s in and what’s out. 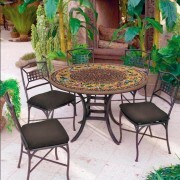 You want to get ready for the spring and summer time now when it comes to your outdoor furniture. Here are a few trends that are popular for your outdoor furniture. When decorating for the holidays, create intimate spaces that make you want to stop for a closer look: sheer and solid ribbons mixed on a Christmas tree, for example, or a garland of clear crystal-like shapes that come to life when the light hits them. There are several benefits in adding an outdoor kitchen to your outdoor living space. It will allow you to enjoy the spring and summer time while cooking up some food. With wonderful neighbors, fresh air and the sound of nature, most people find that some of the stresses in life appear to disappear when they have an outdoor kitchen in the backyard. Check out some of the benefits to an outdoor kitchen. 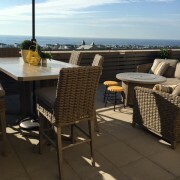 There are a number of things you have to put into consideration before deciding on your outdoor furniture and kitchen. Here are three tips on what to look for before you start planning your outdoor area. 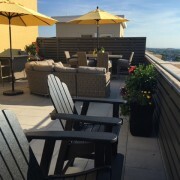 With the summer heating up, you may want to add some outdoor furniture to your patio. There are a number of mistakes that people make while deciding on patio furniture. 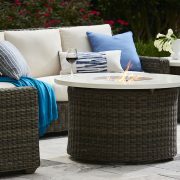 Since patio furniture can be expensive check out the list of avoidable mistakes when deciding on outdoor furniture.